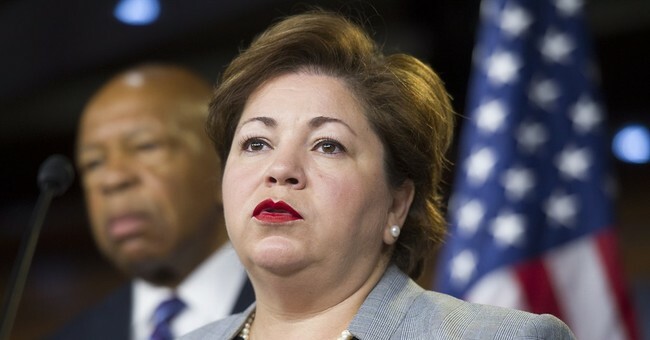 Rep. Linda Sanchez (D-CA), the fifth-ranking House Democrat, renewed her calls Wednesday for a “generational change” in Democratic leadership, emphasizing that the top three House Democrats, Minority Leader Nancy Pelosi, Minority Whip Steny Hoyer, and Assistant Minority Leader James Clyburn, are all “of the same generation,” in their late 70s. In October, Sanchez made waves by calling for House Minority Leader Pelosi to step aside. Sanchez said that she stands by that statement. Pelosi’s spokesman Drew Hammill issued a response Wednesday, saying that Democrats should be focusing on the midterm elections. "House Democrats are focused on winning in November and if you are rowing in the opposite direction, you are only helping Republicans," he said. Sanchez also told reporters that she is weighing a bid for House Democratic Caucus Chair Joe Crowley’s (D-NY) fourth-ranking spot. Crowley lost his primary election in a stunning upset to Democratic socialist Alexandria Ocasio-Cortez last month.